Healing therapies are clearly explained and illustrated with lovely photographs that bring to life the benefits of this 5,000-year-old Asian medical tradition. 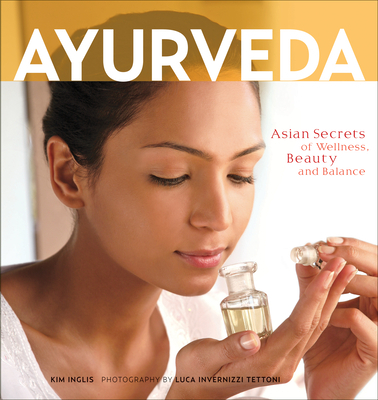 Treatments and practices from India's other healing systems--Unani, Siddha and Tibetan traditional medicine--are also included in the book. Kim Inglis is a writer and editor based in Singapore. She has edited many architecture, "style" and interiors books including the best-selling Tropical Asian Style which she co-wrote. Recent books she has authored include The Indian Spa, Asian Bar and Restaurant Design and Bali Living. World-renowned photographer Luca Invernizzi Tettoni has lived and worked in Asia since 1973. He specializes in books on various aspects of Asian culture, history and geography, and is well-known for his photographs in Balinese Gardens, Thai Style, Thai Garden Style, The Tropical Garden and Tropical Asian Style. His work has also appeared in numerous magazines throughout the world. He currently lives in Singapore.